Who doesn’t love a rich creamy serving of phirni? 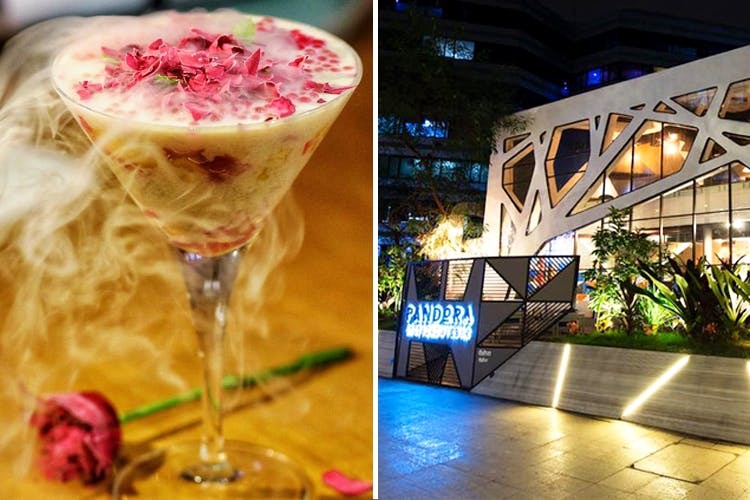 At Pandora Gastronomy & Bar in Yerwada, this age-old Indian dessert has a new mystical look that’ll make you fall for rice pudding all over again! A masterpiece by celebrity chef, Ajay Chopra, phirni parfait is an aesthetically pleasing delectable dessert served with rose petals, caviar and seasonal fruits. The twist is in the presentation though. The petals are frozen with liquid nitrogen that gives a sort of smoky-icy feel to the dish. Priced at INR 250, phirni parfait is a must-have at Pandora. Phirni parfeit tastes and looks great. So before you dig in, don’t forget to click a photograph of the dessert for your Instagram!